It’s neutral gray , (MIL-43511)hard-coated polycarbonate visor is manufactured to close tolerances to provide substantially undistorted transparency . 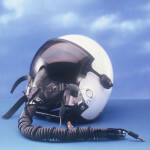 An extra clear visor is also available . 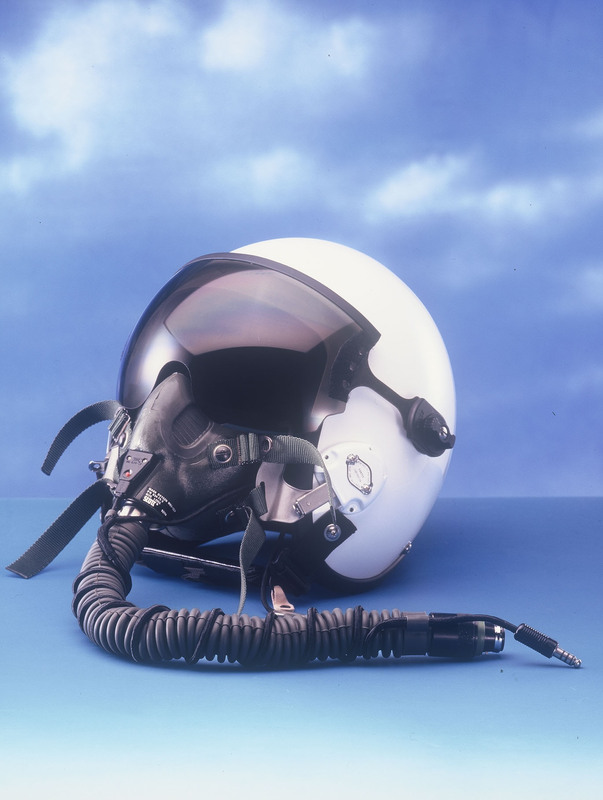 Rubble edge-roll , oxygen mask receiver , high noise attenuation ear cup assembly , black chin and nape straps with leather pad , removable soft head pad , also use 9 pieces liner allows airflow to circuit around the interior shell of the helmet . Helicopter communication include an M-87/AIC dynamic microphone with a frequency response from 200-6000 Hz , impedance is 5 ohms . 19 ohms earphones, frequency response from 100-5500Hz, Microphone/Boom mount on bracket attaches to oxygen mask receiver assembly , Swivel assembly , and PU cable assembly includes cable terminating in a TP-120 or U-174/U plug . Civilian aircraft use Electric Condenser Boom Microphone with a frequency response from 300-5000Hz . 300 ohms earphones frequency response 300-4000Hz . Microphone/Boom mount on bracket attaches to oxygen mask receiver assembly , Swivel assembly , and PU cable with PJ–055(6.3mm) , PJ–068(5.2mm) type plugs. Ultra or Micro-lite aircraft communication include an M-87/AIC microphone frequency response from 200-6000Hz , impedance is 5 ohms,150 ohms . 19 ohms earphones frequency response from 100-5500Hz , Microphone/Boom mount on bracket attaches to oxygen mask receiver assembly , Swivel assembly , PU cable with PJ-051B (6.3mm) 3-conductor plug to use our DM-87 Intercom,U-174/U plug use DM-88 Intercom. Conveniently connects to hand–held transceivers and CB radios .